As enthralling as the temples of Angkor may be, there are lots of other things to see and do around Siem Reap. Seeing a bit of Cambodia away from the temples can help avert ‘temple-burnout’ and round out your Cambodian experience as well as help Cambodia by taking some tourist pressure off of the temples and spreading the tourism dollars a bit more widely. In addition to the following suggestions, check out the sections on visiting the Tonle Sap Lake and bird sanctuary, attending a traditional dance performance, going on a helicopter, balloon and elephant rides, traditional markets and good causes. 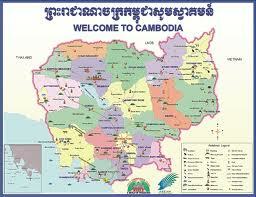 Also see Volunteer opportunities and Charitable Organizations: All Cambodia for more information. Fort more ideas on other things to do around Siem Reap see the NGO-based Stay Another Day website. The Angkor Hospital for Children (AHC), is a charitable organization, was founded by renowned Japanese photographer Kenro Izu in 1999. The hospital provides treatment and care to local children as well as children from neighboring provinces. The hospital is recognized by Cambodian’s Ministry of Health as an official teaching hospital and AHC’s Medical Education Center serves as a training site for health professionals from all over Cambodia. Our Capacity Building and Health Education Program works to strengthen the capacity and improve the quality of local health practices. The Friends Center at Angkor Hospital for Children gives visitors the unique opportunity to visit the hospital and learn more about its programs. Designed for environmental sustainability with the purpose of educating about the hospital the Friends Center also displays prints donated by Kenro Izu and hosts rotating art and photography exhibitions. The donation of money and blood are much appreciated! (The following about Ang Trapeng Thmor comes courtesy of the Sam Veasna Center.) Originating as a reservoir on the Angkorian highway 66 it was rebuilt as a man-made irrigation and water storage reservoir by slave labor during the Khmer Rouge Regime in 1976. The reservoir now harbors a unique wetland associated with grassland, dipterocarp forests and paddy fields. Aside from being a feeding ground for more than 300 Sarus Crane in the dry (non-breeding) season, more than 200 species of other birds occur here, of which 18 have been classified as globally or near globally threatened. This is also one of the handful of sites in Cambodia where the endangered Eld’s Deer can be seen. Colonies of fruit bats inhabit larger trees that are often semi submerged on the edge of the reservoir. Officially declared a Sarus Crane Reserve by Royal Decree in 2000 the area designated covers over 12000 Hectares, following the work of Sam Veasna and his friends at theWildlife Conservation Society (WCS), all foreign visitors are required are required to register at the WCS Office in the adjacent village. Angkor Centre for Conservation of Biodiversity (ACCB) is the first nature conservation center in Cambodia, located near Kbal Spean, about one hour north of Siem Reap. The aims of the center are the rescue, rehabilitation, breeding and reintroduction of threatened wildlife, in combination with an environmental education program, promoting wildlife conservation and training local villagers in the sustainable use of natural resources. Free guided center tour Monday to Friday at 13:00 (for groups, other times can be arranged). SVC organizes half or full day trips focusing on birds but offering a glimpse of Cambodian rural life with a trained local guide. SVC was set up to promote wildlife conservation in Cambodia. It works together with the Wildlife Conservation Society and local village communities to develop remote sites close to the habitat of some spectacular bird life. The local communities benefit from the infrastructure set up for the visitors. Trips to see Sarus Crane at Ang Trapaeng Thmor, Giant and White Shouldered Ibis at Tamtboey, A vulture restaurant at Chhep amongst others, plus some of the most beautiful and unspoiled countryside in Cambodia. Dr. Beat Richner plays Bach on the cello and speaks about the activities of his children’s hospitals (Jayavarman VII in Siem Reap, Kantha Bopha 1 and 2 in Phnom Penh) every Friday and Saturday evening at 7:15PM. Performances are held at the Jayavarman VII Hospital, located on the road to Angkor Wat in Siem Reap. Dr. Richner provides an entertaining and worthy Saturday evening. The hospital welcomes both monetary and blood donations. Unique new addition to the Angkor area. Take a tethered helium balloon ride 200 meters straight up for an amazing aerial view of Angkor Wat, Phnom Bakheng, West Baray and other ruins amongst the surrounding jungle and rice paddies. Bring a camera and binoculars if you have them. The big, yellow balloon is based on the road from the airport to Angkor Wat, about a kilometer from the front gates of Angkor Wat. An interactive butterfly exhibit located 25 km north of Siem Reap, on the road to the Bantey Srey temple. The exhibit consists of a netted tropical garden with thousands of free-flying butterflies, all of which are native species to Cambodia. The enclosure provides residents and tourists with an interactive and visual environment to learn about butterflies. Butterflies Garden Restaurant features 1,500 tropical butterflies and a koi pond in a romantic, private garden. Creative tropical cuisine, including unique Khmer specialties, is served at breakfast, lunch and dinner. An array of fresh juices, shakes, beer, wine and cocktails is also available. Butterflies Garden Restaurant specializes in group events of all kinds from corporate retreats to children's birthday parties. Check our website for a listing of family-oriented activities and traditional and contemporary Khmer performance art. A unique, sprawling new cultural attraction in Siem Reap, intended to introduce the visitor to Cambodian culture and history. Wax museum with scenes and figures from history. Fascinating 1/20th scale models of sites such as Phsar Thmey and the Royal Palace in Phnom Penh and the hills and temples of Oudong. Full scale models of a variety of Cambodian architectural types, including different styles of huts and homes, hill tribe houses, pagoda and mosque. Live shows, traditional dance performances and music. Traditional Khmer wedding show twice per day. Make a ceramic within 2 hours. Make by hand or on the potters wheel using Khmer traditional techniques. Experience potters will guide you through the process. Your piece will be fired and glazed and delivered to your hotel within 24 hours. Free pick-up from your hotel for the class. Half day Cambodian cooking classes at the Alliance Café by a Khmer chef. Begin with a trip to a traditional market to select the ingredients. Cook and dine on several Khmer recipes. Wat Damnak area. Half and full day Cambodian cooking courses held in a rural setting just 10 minutes from Siem Reap. Maximum six people per class. Booking is essential. Corner Sivutha Blvd & Alley West. The Peace Café in the Wat Bo area holds regularly scheduled vegetarian cooking classes. Every Tuesday, Thursday and Saturday at 11:00AM-1:00PM. $20/person, no appointment needed. Lunch included. Restaurant is offering culinary tours and cooking courses focusing, of course, on local fare. Unique culinary tours such as ‘Cooks in Tuk Tuks’ and include a tour of a local market(s) with an introduction to local culinary culture, foods and ingredients, cooking equipment, etc. followed by cooking classes at the restaurant. If your schedule allows, set aside a day or three to get out of the Siem Reap Town/main temple area and into the countryside. The vast majority of Cambodians live and work in the rural countryside and a countryside tour or even a day trip to a remote temple ruin can provide a glimpse of ‘real Cambodia’ - picturesque, bucolic scenery, rice paddies and water buffalos, countryside pagodas and little villages filled with traditional stilted houses... And there are a number of ways to see it: by 4WD or dirtbikes, ATVs, bicycle, ox cart and more. The following tour operators specialize in countryside expeditions. Unique day trips, cycle, alms, treks, walks, villages, small groups, private packages, cooking classes, ticket services. Corner Sivatha Blvd & Alley West, Siem Reap, Cambodia. Offering unique bicycle tours of the Siem Reap countryside. Rice paddies, villages, silk farm, country market, more. Mountain bikes and helmets available. Weekly cycling tour every Sunday. Countryside and distant temple ‘moto’ tours using 125cc motorcycles, the same as the local people. Visit Beng Meala temple, Phnom Kulen, tour the countryside and local villages. Custom tours. Single and multi-day all-inclusive, high end, cultural, ad- venture and humanitarian tours by 4WD vehicles, dirt bike and car to Koh Ker, Preah Vihear, Preah Khan temples and historic KR area, Anlong Veng. Tonle Sap Lake tours. Just off the road to Angkor Wat in Siem Reap, Cambodia. The office is on Street 20 off Wat Bo Road, behind the New Apsara, Supermarket, Siem Reap, Cambodia. Quad Bike tours. One hours, multi-hour, half-day, full day, extreme tour overnighter. Countryside tours, rice paddies, pagodas, villages, more. Mountain bike (TREK, GIANT) and trekking specialist. Overnight in some villages. Tonle Sap Lake boat tours (bird sanctuary, floating and stilted villages,) elephant trekking and more. Tailor made itineraries. #668, Hup Guan Street, Siem Reap, Cambodia. During the day, elephants await customers near Bayon or at theSouth Gate of Angkor Thom. In the evenings, elephants are stationed at the base of Phnom Bakheng, ready to transport riders up the hill for sunset. $10-$15 for a 25 minute ride. Siem Reap’s first international golf club. 18-hole, 72 par golf course spread over 155 hectares and stretching 6.53 kms. A combination of paspulum grasses allows for year round golf. Putting green, pitching area, driving range, pro-shop and restaurant. Managed by Sofitel Royal Angkor Golf & Spa Resort. The first commercial helicopter service to operate in the country, commencing operations in 1998. Offer a selection of scenic flights to Angkor Wat and the Angkor area and services far beyond including supporting mining exploration operations, magnetic surveys, forestry and concession monitoring, long line lifting and more. Highly trained Australasian pilots have provide specialist aerial photographic and cinematography platforms, shuttled business executives from the capital to outfield locations and fly eco-flights over the wildness areas. Offers scenic helicopter tours of the temples beginning at US$90/person for an 8 minute jaunt around Angkor Wat. It isn’t a particularly cheap way to tour but the view is spectacular and memorable. Helistar Cambodia offers specialized tours, aerial photography and charter services. Multiple aircraft in service. Conveniently located at Siem Reap International Airport, Domestic Terminal. Office on National Road 6, Borey Angkor Arcade, diagonally opposite the Total petrol station. Walk-in customers welcome. Cinema in the Angkor Trade Center near the Old market showing blockbusters, kids movies, classics, old favorites and more. Regular showing of new movies, or select a personal favorite from a catalogue of movies. Fully air-conditioned, 100x200 inch screen, 5.1 channel speakers. American, Chinese, Japanese, Korean movies and more. Family fun, fun for the kids at the Sky High roller-rink located on the 4th floor of the Angkor Trade Center just north of the Old Market. Roller skates for rent or bring your own. Restaurant serving drinks and snack. Inexpensive. A unique, sprawling cultural attraction, intended to introduce the visitor to Cambodian culture and history. Interesting wax museum features scenes and figures from history. Large park area with 1/20th scale models of important cultural sites and landmarks. Full scale models of a variety of Cambodian architectural types. Entrance: $12. 9AM - 9PM. Airport Road. The Cambodia Landmine Museum has evolved from a small shack museum by former soldier and deminer Akira to a formal museum and charitable organization. The museum exhibits a variety of defused mines, bombs and other ordinance as well as information on mines, demining and Cambodia’s mine problem. Located six km south of Banteay Srey. Located on Route #6 (Airport Road). Shrine to Ya Tep Under a huge tree in the traffic circle in front of the royal residence is a statue of Ya Tep, a neak-ta. Neak-ta are powerful spirits connected to a particular area of land. Ya Tep is local to Siem Reap and is said to help bring protection (and winning lottery numbers) to the faithful. Offerings of chicken skins can often be seen around the shrine. Wat Keseram “Pagoda of the Cornflower Petals”. Pastoral setting and extensive, detailed collection of the life of Buddha on the interior of the vihear make this one of the more interesting wats to visit. The date of establishment is unclear, but most agree that the vihear was constructed in the early 1970’s. Buddhist pagodas are the traditional seat of Khmer culture. Siem Reap, like many Cambodian towns, is a collection of villages, which grew around individual pagodas, later coalescing into the town. To get a true feel for Cambodia, a visit to at least one pagoda is a must. Shrine to Preah Ang Chek & Preah Ang Chorm Of particular importance to the locals is the small shrine in front of the Grand Hotel D’Angkor containing two standing Buddhas of the names Preah Ang Chek (taller) and Preah Ang Chorm (shorter). They are surrounded by stories of power and indestructibility. Visitors are welcome to make offerings and take photos. The reverence of local pilgrims is palpable. Angkor Butterfly Center (ABC) is an interactive butterfly exhibit located 25 km north of Siem Reap, on the road to the Landmine Museum and Banteay Srei. The exhibit consists of a netted tropical garden with hundreds of free-flying butterflies, all of which are native to Cambodia. Providing residents and tourists with an interactive and visual environment to learn about butterflies. See butterflies feeding and flying very close at hand, the complete life cycle of many species. Adults $4, children $2, children under 5 free. 9AM - 5PM.